Blog We love it when the ladies out fish the men on our Fort Myers beach fishing charters. This first month of January has brought some strong tides, cold fronts, and the red fish. We had a rough start with some cold fronts but now it has warmed back up and the fish are hungry and biting! 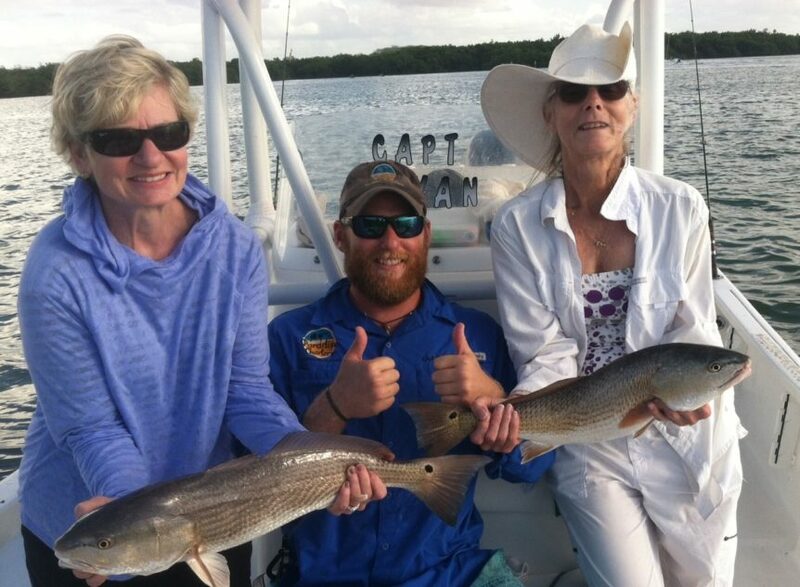 We had the pleasure of fishing around Fort myers beach with these 2 fun ladies and they had a double redfish landing! We have also been getting pompano which is one of our faves!